Mortgage rates slipped lower this week, with the benchmark 30-year fixed mortgage rate sliding to 3.75 percent, according to Bankrate.com’s weekly national survey. 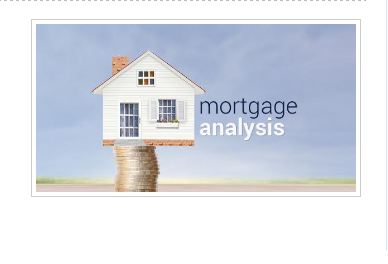 The 30-year fixed mortgage has an average of 0.17 discount and origination points. The larger jumbo 30-year fixed inched up to 3.77 percent, while the average 15-year fixed mortgage pulled back to 2.99 percent. Adjustable mortgage rates were also lower, with the 5-year ARM and 7-year ARM each dropping further to 3.11 percent and 3.33 percent, respectively. Mortgage rates moved lower for a second consecutive week, a move sustained by a jobs report that fell short of expectations. While the initial estimate of April payrolls growth came in at 160,000, this was shy of the recent trend and the consensus for 200,000 new jobs. This helped bring long-term interest rates down further as it reduces the likelihood of a Federal Reserve interest rate hike in June, and raises concerns about a broader economic slowdown. Any time there are concerns about the economy or the prospect for interest rates remaining lower than expected, investors gravitate toward the safety and security of long-term government bonds that are integral to the pricing of mortgage rates. While some prognosticators have ruled out a June Fed rate hike altogether following the April employment report, the Fed themselves are jawboning the opposite – that a summer rate hike is still possible. The tone of economic data and financial market developments in coming weeks will tell whether the Fed, or the market, is correct. At the current average 30-year fixed mortgage rate of 3.75 percent, the monthly payment for a $200,000 loan is $926.23. For a full analysis of this week’s move in mortgage rates, go to http://www.bankrate.com/finance/mortgages/mortgage-analysis-051216.aspx. The survey is complemented by Bankrate’s weekly Rate Trend Index, in which a panel of mortgage experts predicts which way the rates are headed over the next seven days. Seventy-three percent of the panelists expect mortgage rates to remain more or less unchanged in the coming week, while 18 percent predict rates will fall. Just 9 percent forecast mortgage rates will rise in the next seven days. Bankrate.com provides consumers with the expert advice and tools needed to succeed throughout life’s financial journey. For over two decades, Bankrate.com has been a leading personal finance destination. The company offers award-winning editorial content, competitive rate information, and calculators and tools across multiple categories, including mortgages, deposits, credit cards, retirement, automobile loans, and taxes. Bankrate aggregates rate information from over 4,800 institutions on more than 300 financial products. With coverage of over 600 local markets, Bankrate generates rate tables in all 50 U.S. states. Bankrate develops and provides web services to more than 100 cobranded websites with online partners, including some of the most trusted and frequently visited personal finance sites on the internet, such as Yahoo!, CNBC, Investopedia and MarketWatch. In addition, Bankrate licenses editorial content to more than 500 newspapers on a daily basis including The Wall Street Journal, USA Today, The New York Times and The Los Angeles Times.